Dibond or Aluminium composite sheet is one of the best signage materials for permanent signage and track side advertising boards with a outdoor life of up to 10 years. Made with aluminium with a tough plastic core, Standard thickness available 3mm. Dibond is designed especially for signs, facias and the exhibition market. 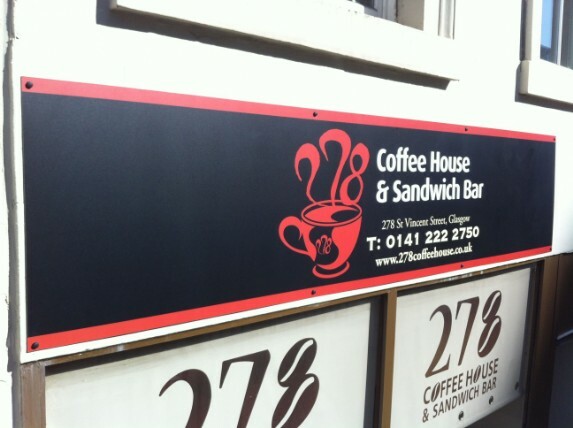 These double faced and available in 16 coloured aluminium composite panels with a matt and a Gloss finish it can be bent, folded and shaping with ease, yet it is extremely stable will not react to heat like foam boards which makes it ideal for creating signage for Shop fronts, track side advertising, pole mounted signs, displays at trade fairs and much more, It’s perfect outdoor/indoor sign that will last years yet still be extremely light, weather resistant, fire retardant and highly recommended for outdoor use. Permanent and Long Term Displays, Construction Hoardings, Parking Signs, Real Estate Signage, Industrial Signs, Building Sites, Traffic/Road Signs & Direction Signs. Dibond is also known as composite aluminium, Raybond, Skybond, Dilite or Dibond Digital.